Anne Arundel County Police have arrested two suspects in remarkably bizarre incident involving a stolen public school bus. The bus was reported stolen at about 5:30 in the morning on Tuesday, as school employees reported to the lot to begin their morning student pickup. Employees at the bus lot notified police and school officials as soon as they noticed the missing vehicle. The first concern for both was the safety of the children, as there was fear that the at large bus thieves could try to pick up and perhaps abduct school children. Parents were notified early in the morning and were told not to have their children wait for the bus. After parents were alerted and concerns over the children subsided, police turned their attention to searching for the missing bus. Not surprisingly, a helicopter spotted the stolen bright yellow school bus a few hours after the search commenced. The final resting point was an unpaved access road underneath electrical towers. Further investigation revealed that the bus was badly damaged and there was even evidence the suspects tried to light it on fire before fleeing the scene. Police used surveillance video and information from a witness to locate and apprehend the two suspects in the area where the bus was found. The video reportedly depicted a visibly intoxicated male and female breaking into bus at around 3:30 am and then driving it through the parking lot gate. While it is unclear how they started the bus, police did see evidence that multiple other buses were vandalized before the couple settled on one to take for their joy ride. The suspects are currently in jail and facing numerous criminal charges including theft, burglary, arson, and destruction of property. A preliminary hearing is set on November 5th in the district court in Annapolis. Both suspects have accumulated lengthy criminal and traffic records in their 24 years in Maryland. The male suspect has prior convictions for driving without a license and failures to appear for citations related to causing an auto accident. He also has two pending cases for driving on a suspended license and received a STET after being indicted on first-degree burglary and theft charges less than a year ago. The female suspect has an equally disturbing record, featuring multiple pending charges including burglary, driving under the influence, driving without a license, and possession of an open container. Her prior cases include assault, possession of marijuana, theft, and driving an uninsured motor vehicle. Remarkably neither suspect has a criminal conviction, but the female does have a probation before judgment in a marijuana possession case. It is safe to say that both suspects will no longer enjoy a clean criminal background after this high profile arrest. While it’s tough to predict exactly what the outcome will be at this early juncture, the evidence does seem sufficient enough to sustain a conviction in a least one of the many felony counts. In cases with numerous counts the state’s attorney’s office typically will offer a plea bargain that gives the defendant the choice of pleading guilty to one count, with most or all others being dismissed. It would not be surprising if the count that sticks is either felony theft or felony burglary, as they both have significant maximum penalties. The Blog will follow the progress of these cases as they go from district to circuit court and beyond. Benjamin Herbst is a Maryland criminal defense lawyer who handles all types of cases including theft and arson. Contact Benjamin at anytime for a free consultation about your case. 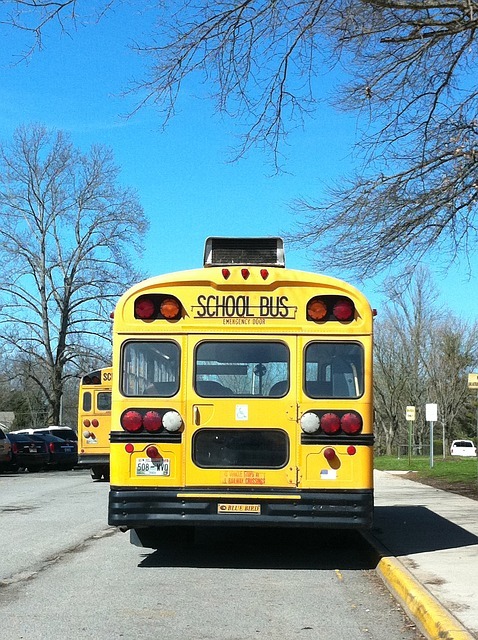 Police: Stolen Anne Arundel County school bus found, wbaltv.com.